Guarino's Restaurant - 216-231-3100: 2/19/2011 Specials! 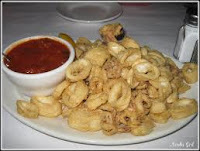 FREE calamari appetizer cooked to your liking with 2 or more entrees!!! !